The DIY Joint offers a creative mix of New Jersey and NYC woodworking classes that are designed to educate and inspire makers. Make something awesome today! Learn More About Our DIY Classes! Whether you are just getting your feet wet in woodworking or you are an experienced woodworker, The DIY Joint has a little something for everyone. Our open-studio workspace encourages collaboration and fun, and we offer a wide variety of DIY woodworking classes that are suitable for every skill level. When you sign up for one of our classes, you don’t have to worry about bringing your own materials. 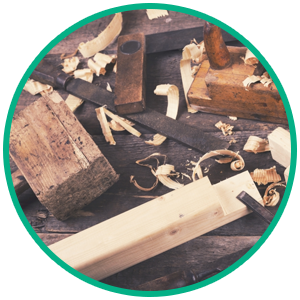 From tools and equipment to the wood itself, we have all of your needs covered. Looking for a creative girls’ night or date night idea? We also offer sip-and-create classes in which you can bring your own drinks to enjoy with other like-minded creators for a unique creating experience. View the class schedule below and sign up for one today! Which classes will certify me for open studio time? You can get certified for open studio time through a few of our DIY woodworking classes. The Intro to Furniture Making, Cutting Board, or Open Studio Certification workshops will certify you to use our open studio for your own projects. Click here to learn more about the open studio at The DIY Joint. I don't have any experience. Can I still take a class? You're why we do what we do! Unless otherwise stated in the description, the majority of our DIY woodworking classes are designed for beginners. 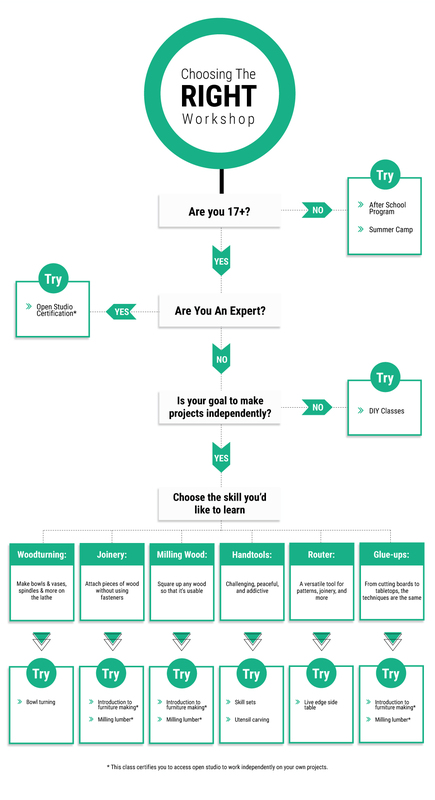 We recommend that you choose the class that targets the specific set of skills you'd like to learn. Are all the materials included in the classes? Absolutely! You never have to worry about bringing your own materials to our classes. However, material upgrades are available for some woodworking classes, which will be mentioned in the class description. Materials for open studio time are not included. Cancellations, transfers, and refund requests must be received by email to info@thediyjoint.com no less than 14 days in advance of the class start date in order to receive a refund or class credit.